Privacy matters when it comes to your students. 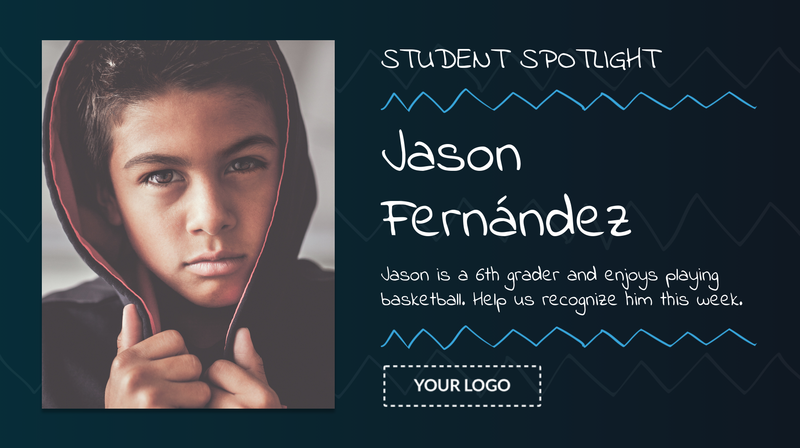 We understand that you want to keep their information safe, but you also want to be able to share their accomplishments with parents, teachers, and students with photos. 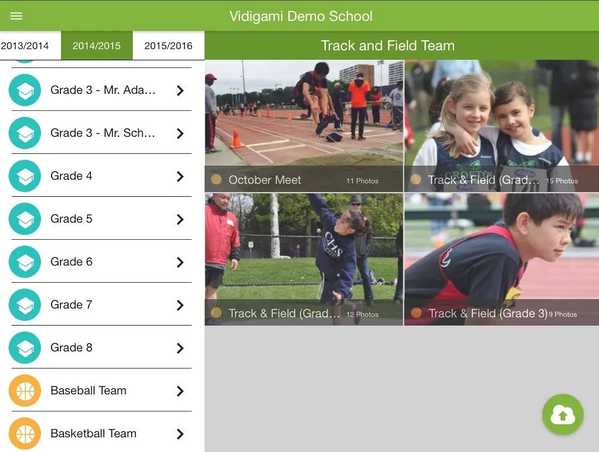 Vidigami gives schools a path for privately organizing and sharing school photos, as well as sending those photos to your displays seamlessly. That means your displays will always have fresh content showing that your students will love. Vidigami is a photo-management system just for schools. It lets your school community (parents, students, teachers--whoever you decide) upload, download, and share photos in a private space. What makes Vidigami stand out is the way it automatically detects, tags, and organizes the photos that you upload. For example, let’s say a teacher takes a photo of their fourth-grade class working on a science project. The teacher can upload it to the schools Vidigami portal and all the students in the photo will be detected and put into the folder for that class. The teacher can then share that folder with parents and students. Schools decide who sees what. That means parents don’t have to be concerned with strangers being able to download photos of their child. Parents can download, share, and even buy prints of the photos. Vidigami also has a native iOS and Android app to make it even easier for viewers to see photos on mobile devices. There are lots of ways schools can privately share photos. Google Drive, for example, also lets you organize and share photos. Why use Vidigami? 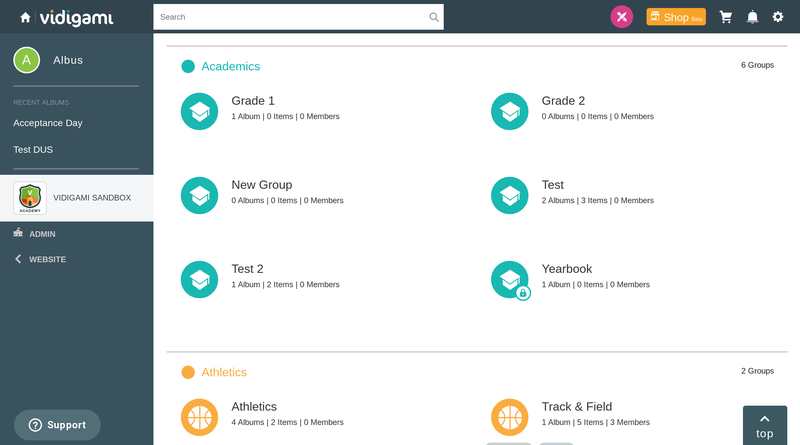 Vidigami is for schools who want enterprise-level photo management with multiple user accounts and restrictions. Unlike some photo management tools, which create an often cumbersome organizing experience, Vidigami is so easy to use you may forget it’s there, working in the background, to solve your problem! It’s advance photo recognition and filtering will save you time, so you can get back to helping your students! Users can also add tags to photos, and everything is, of course, searchable. That means if your yearbook committee needs a photo of a sixth grader at a Track and Field event, they can have it in seconds; they don’t have to search through hundreds of photos as they would without advance photo management. Thousands of schools use Rise Vision for digital signage. They each have different needs, but share one common passion: they want to improve their students school experience. When it comes to digital signage, one of the top ways we see them making a difference is by putting a smile on their student’s face. Over and over again, we hear teachers tell us, “Our students love seeing their picture on the display!” Read more about how one of our many schools is making an impact in their students lives with digital signage. Schools can manually add photos with the Image Gallery Template below. Schools who sign-up for a Rise Vision and Vidigami account, however, can also send their digital memories right to your digital signage displays. Last year, Vidigami presented at the ATLIS Conference where they showed just how easy it was to integrate your photos from their photo management software onto your digital signage. Once you embed the Vidigami link in your Rise Vision presentation, any photo you add to that folder in Vidigami will automatically show up on your digital display. Rise Vision is created to support hundreds of HTML tools such as Vidigami; you can see other popular tools that schools use with their digital signage account here. If you use Rise Vision and Vidigami, we’d love to hear from you. Write to us here and, we will be in touch! Make your students the stars! Showing photo slideshows of your students on your digital signage is one of the many ways that you can make students feel like rock stars on your campus. Studies have shown that making students feel valued will not only make them happy but make them better students. You can read more about some of the many ways schools use digital signage to encourage their students and make them feel special here. Looking for even more things your school can do with your digital signage? Here are over 50 ideas! Start using digital signage today and make a difference in your student's lives!